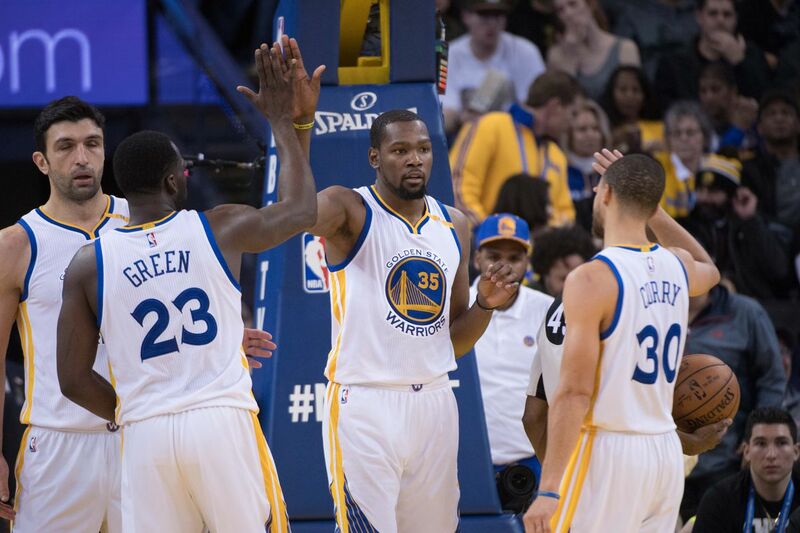 The Golden State's momentum is fraying. Again, the firepower showed off, followed by a winning streak. The Golden State Warriors won the NBA (National Basketball Association) regular season home game against the New Orleans Pelicans at the Oracle Arena in California, USA. Kevin Durant (30 points, three rebounds, five assists, 15 rebounds, four assists, two steals) and Klay Thomson (19 points, three points, four rebounds, three assists, three assists, 41 points, three rebounds, three assists, ). Andre Iguodala (11 points, 5 rebounds, 4 assists) and Sean Livingston (13 points) also scored two goals in the Golden State, while Draymond Green (17 points, 3 points, 4 rebounds, 14 assists) The Golden State put a total of 24 3-pointers on the day. There were also 43 total 3-point shots from both teams. Golden State, the No. 1 West Conference, ran a 6-game winning streak and ran second against Denver Nuggets in one game. New Orleans, on the other hand, failed to win two consecutive games and fell from 12th to 11th. The start of Golden State was not so good. Durant scored 10 points, but he was able to overcome the defensive effort. Golden State, who was pushed out of the fray, also kept calm after mid-quarter of the season, ending the first quarter with 31-39. The Golden State, which had lagged 17 points early in the second quarter, chased from mid-2Q. Durant and Thompson scored three times in a row to make the transition, and Curry scored a free-throw goal in the opener. At the end of the second quarter, the score was 66-71. The third quarter was similar. Golden State failed to block Anthony Davis's blockade and gave up the mood for a while, but after the middle of the third quarter, he fired again. Curry scored a three-point shot and then went on to chase it again. Andre Iguodala scored the go-ahead goal in the third quarter and added another free-throw lead to finish the third quarter with a 110-109 lead. The Golden State scored a season-high 16 points, including a run-scoring single in the fourth quarter. The Golden State then gradually widened the gap. Shaun Livingston and the other bench members supported him, and Durant was steadily scoring. The Golden State then defeated New Orleans, who had been injured by injuries, and garnered victory.